Forty participants of the first FAMOS workshop (October 22-24, 2012) prepared their outlooks for sea ice conditions in 2013. 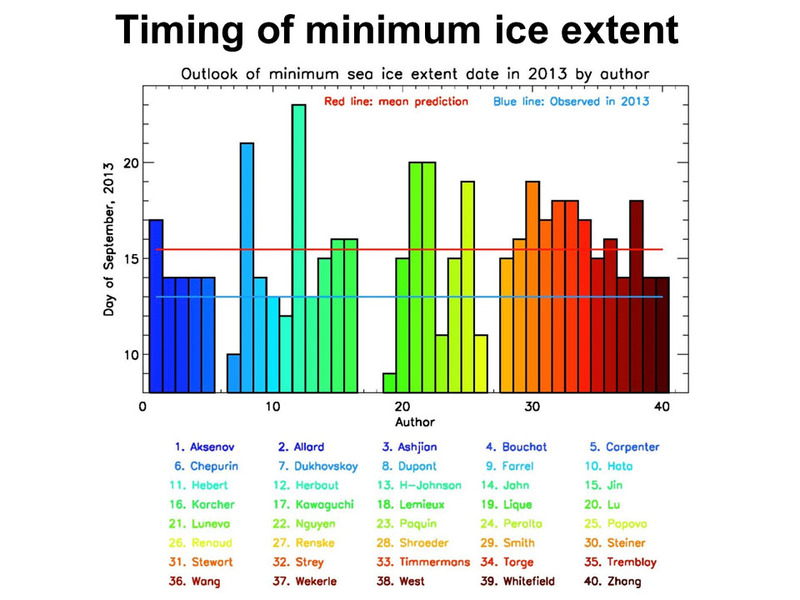 These outlooks were compared with the observed sea ice minimum extent conditions in September, 2013 and results were discussed during 2013 FAMOS workshop (October 22-25, 2013). 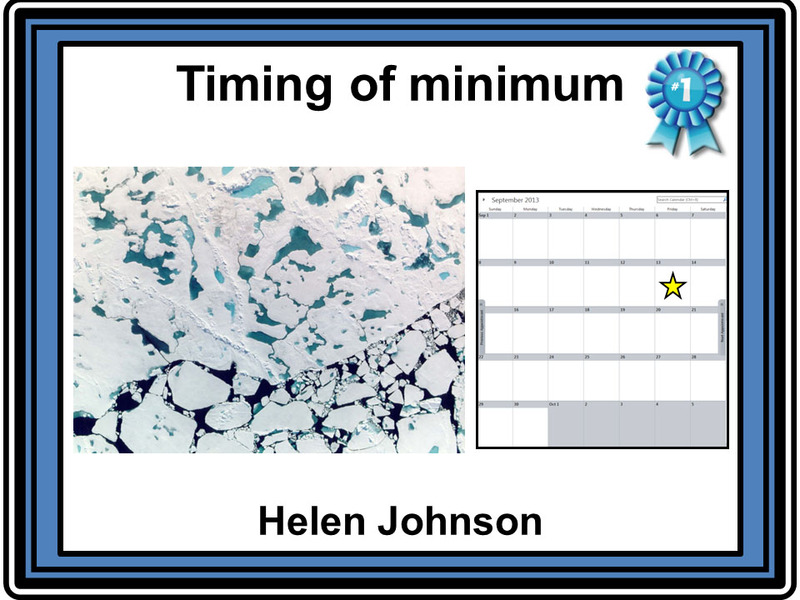 Here we present results of these outlooks and identify and congratulate winners of our first sea ice outlook competition. 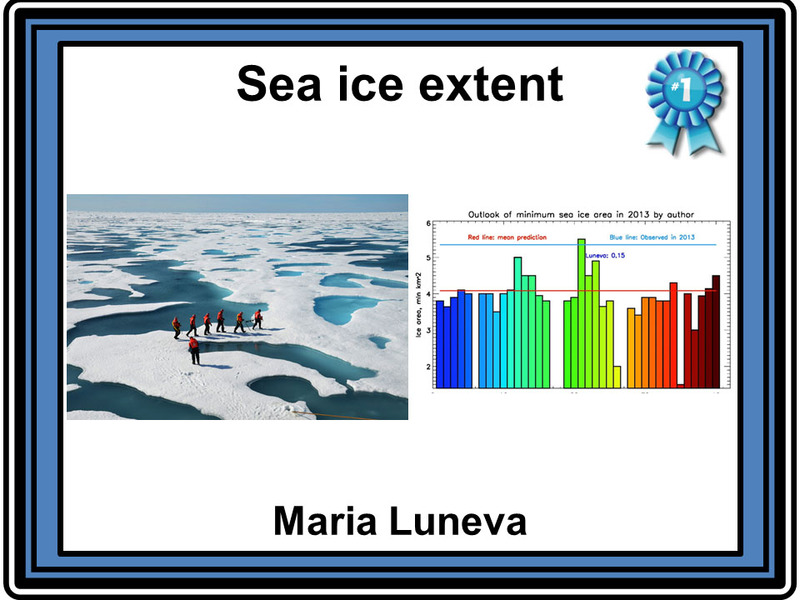 1) Spatial distribution of minimum sea ice extent in 2013 (Figure 1). We have digitized this information from maps showing ice edge (extent) provided by workshop participants. This is summarized in Figure 1 and in Figure 2* (where all individual outlooks are shown). Thick blue line shows ensemble mean outlook and indicates that in average participants tended to conclude that in 2013 there will be more ice in the Arctic Ocean than in 2012. 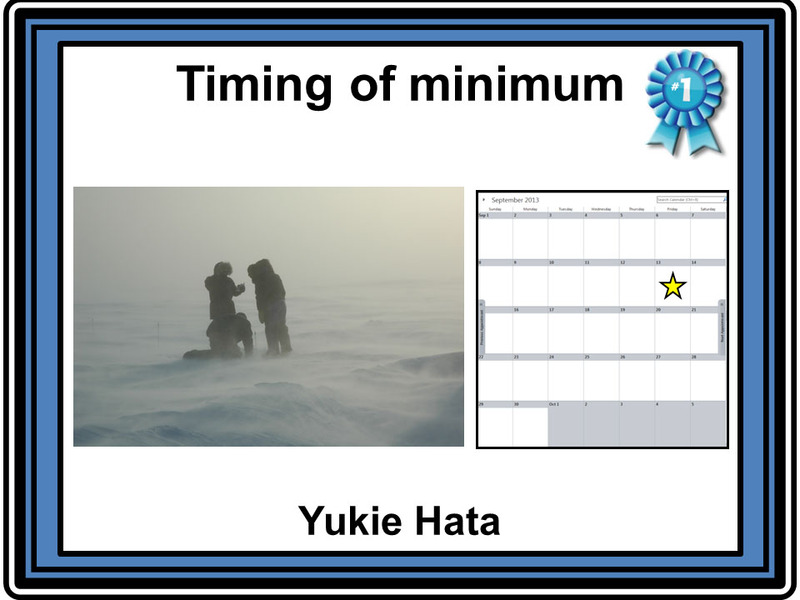 2) Minimum sea extent in 2013 in square kilometers provided by workshop participants as their outlooks (Figure 3). 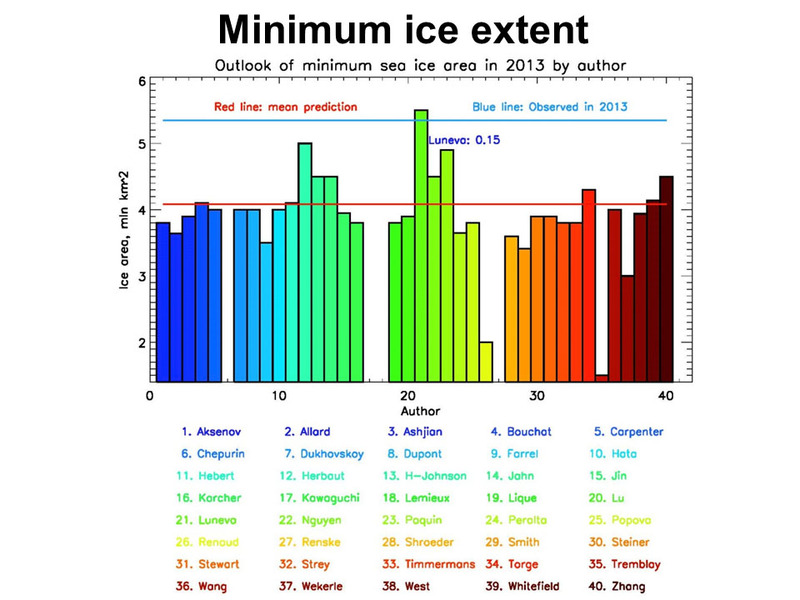 3) Date of sea ice extent minimum in 2013 (Figure 4). 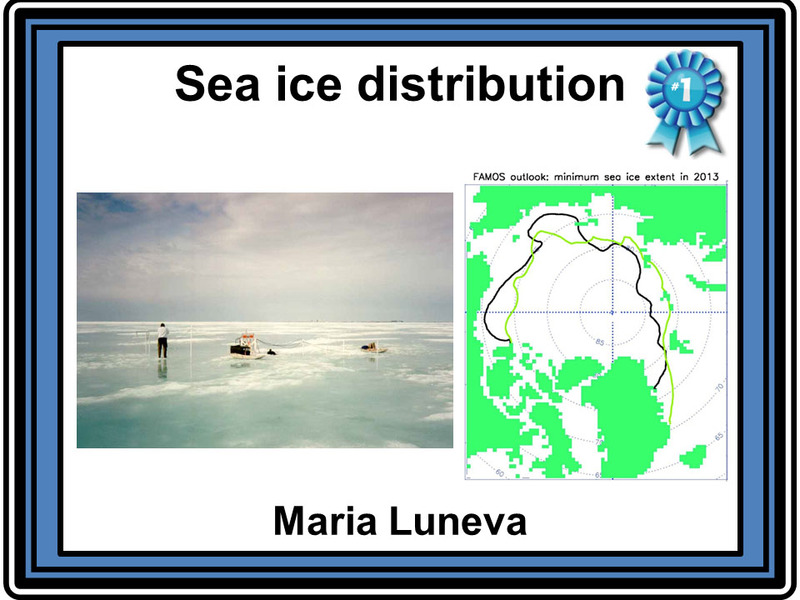 c) Best evaluation of ice edge location for the time of ice extent minimum conditions in 2013: Maria Luneva (National Oceanographic Cemter, UK; mane1@noc.ac.uk). 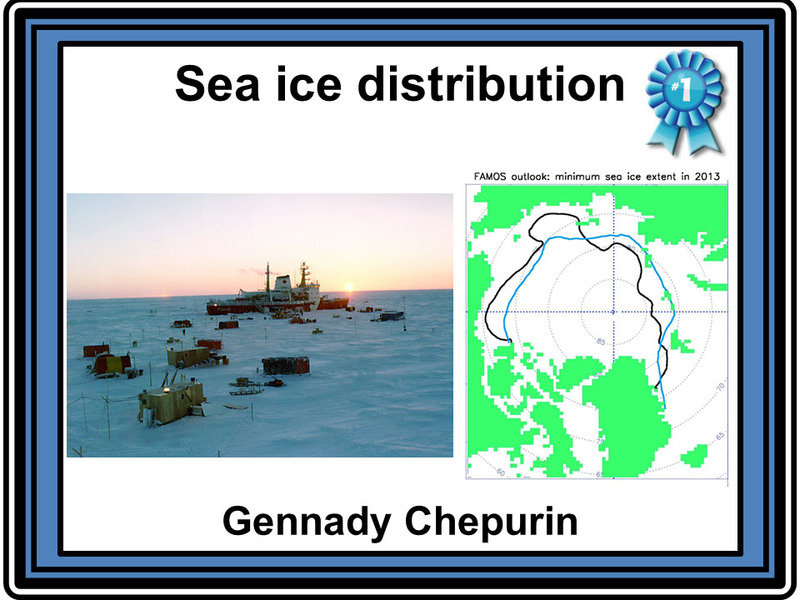 See figure 8; Gennady Chepurin (University of Maryland, USA; chepurin@atmos.umd.edu). See figure 9. 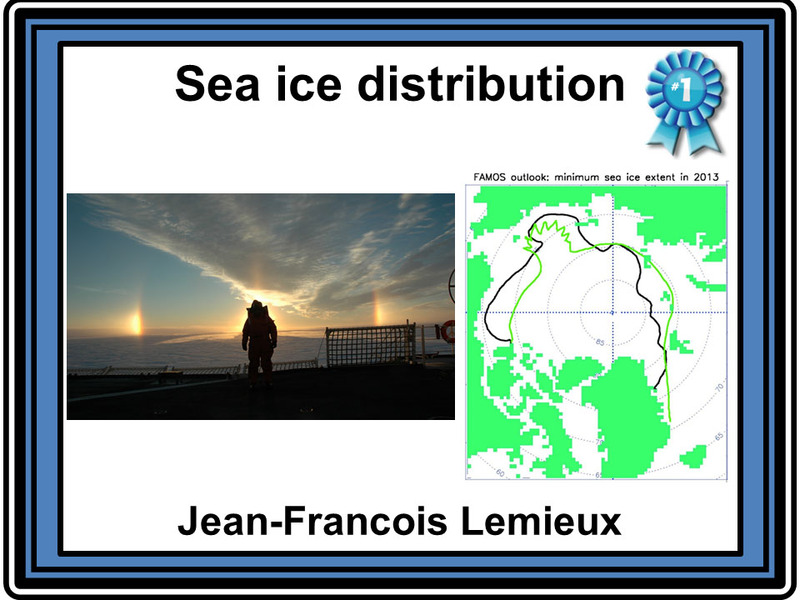 Jean-Francois Lemiex (McGill University, Canada; lemieux@meteo.mcgill.ca). See Figure 10. 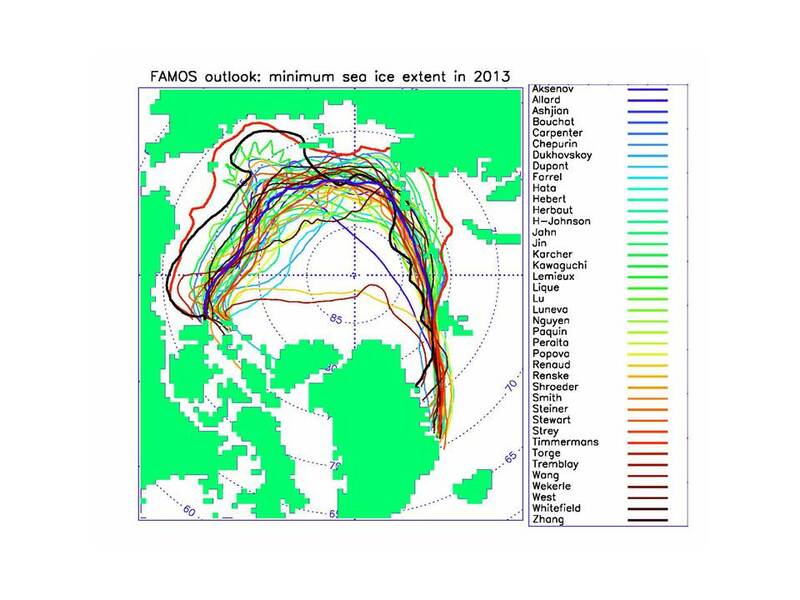 *Figure 2: All individual 2013 minimum sea ice extent outlooks prepared by FAMOS workshop participants. Color lines depict outlooks of participants. Black line shows observed 2013 ice extent. To view figure 2 click here.